Situated in Nordhausen, this hotel is 5.4 mi (8.6 km) from South Harz Nature Park and within 12 mi (20 km) of Walkenried Abbey and Wernrode Church. Ancient Coin Museum and Museum Kleines Bürgerhaus are also within 16 mi (25 km). Nordhausen-Salza Station is 15 minutes by foot. Situated in Nordhausen, this pension is within 12 mi (20 km) of South Harz Nature Park, Wernrode Church, and Walkenried Abbey. Ancient Coin Museum and Museum Kleines Bürgerhaus are also within 16 mi (25 km). Nordhausen Bahnhofsplatz Tram Stop is 18 minutes by foot and Nordhausen-Salza Station is 17 minutes. Located in the heart of Nordhausen, this historic vacation home is 4.9 mi (7.8 km) from South Harz Nature Park and within 12 mi (20 km) of Walkenried Abbey and Wernrode Church. Ancient Coin Museum and Museum Kleines Bürgerhaus are also within 16 mi (25 km). Nordhausen-Salza Station is 21 minutes by foot. Located in the heart of Nordhausen, this apartment building is 7.3 mi (11.7 km) from South Harz Nature Park and 10.1 mi (16.3 km) from Wernrode Church. Ancient Coin Museum and Museum Kleines Bürgerhaus are also within 16 mi (25 km). Nordhausen Bahnhofsplatz Tram Stop is 15 minutes by foot and Nordhausen Nord Station is 15 minutes. How Much is a Hotel Room in Nordhausen? Hotels in Nordhausen start at $58 per night. Prices and availability subject to change. Additional terms may apply. Nordhausen is a bit out of the way of the regular tourist's itinerary. Owing to this, lodging options around the town itself are few and far between. However, there is no need to panic, as if you expand your search a bit further afield and you will uncover a good variety of budget to high-end accommodation options in which you can base your stay. 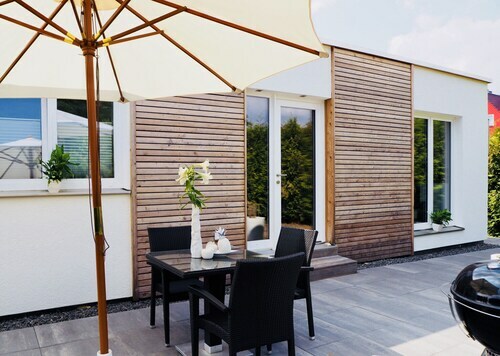 When you stay at any of the 26 accommodation options around a 19-mile (30-kilometer) radius of Nordhausen, you will experience the best of what the region has to offer. The closest Travelocity-listed accommodation is the Maritim Berghotel Braunlage, Saxony-Anhalt, 18 miles (28 kilometers) from the middle of Nordhausen. As an alternative, you could stay at the Hotel Tannenpark, located in Saxony-Anhalt, which is 14 miles (22 kilometers) from the downtown area. You could check out the Harz Resort Waldesruh and also the Hotel Waldschlößchen Schierke. The Harz Resort Waldesruh is only 14 miles (23 kilometers) outside of the town center of Nordhausen. The Hotel Waldschlößchen Schierke, is located just 19 miles (30 kilometers) away. Another option is to make a booking at the AKZENT Berghotel Rosstrappe or the Hotel Sonnenberg Schlößchen. The broader Saxony-Anhalt district is certainly worth having a look at too. Saxony-Anhalt is famous for forests, rivers, streams and lakes. Popular traveler sites include castles. In this fascinating part of Germany adventurous travelers may also try their hand at snowboarding and skiing. Goslar is 30 miles (52 kilometers) to the northwest of Nordhausen and features Goslar Imperial Palace and Mines of Rammelsberg. When you want to get to Goslar, check out the rooms at the Altstadt Hotel Gosequell and RAMADA Hotel Baeren Goslar. Alternatively, you could consider staying at Sorge, 13 miles (22 kilometers) north of Nordhausen, where you'll find the Landhausferienwohnungen Am Brockenblick and Zum Sonnenhof. If you visit Sorge, be sure to check out the Grenzlandschaft and Museum Sorge and Ring der Erinnerung. Located 35 miles (60 kilometers) from Nordhausen's downtown area is Erfurt Airport. Base yourself nearby at Airport Hotel Erfurt or Hotel & Restaurant Park-Cafe ISA.